Boleslawiec is a charming town in the southwest of Poland and is the home where Polish Pottery has been made for centuries. Just wanted to share a little about Boleslawiec, which is the charming town in the southwest of Poland where we have been getting our original hand-crafted Polish Pottery for over 20 years, (and which has been made there for centuries). Situated in the Silesian region in southwest Poland, the beautiful and quaint town of Boleslawiec dates back over 750 years. The geography lends itself perfectly to ceramic work as the area is rich in natural high-quality clay deposits. Boleslawiec has long been known for their ceramic art which has been at its core for generations. What we commonly refer to as "Polish Pottery" is sometimes also called Boleslawiec Pottery, or called by its German names Bunzlau pottery or Bunzlauer pottery. 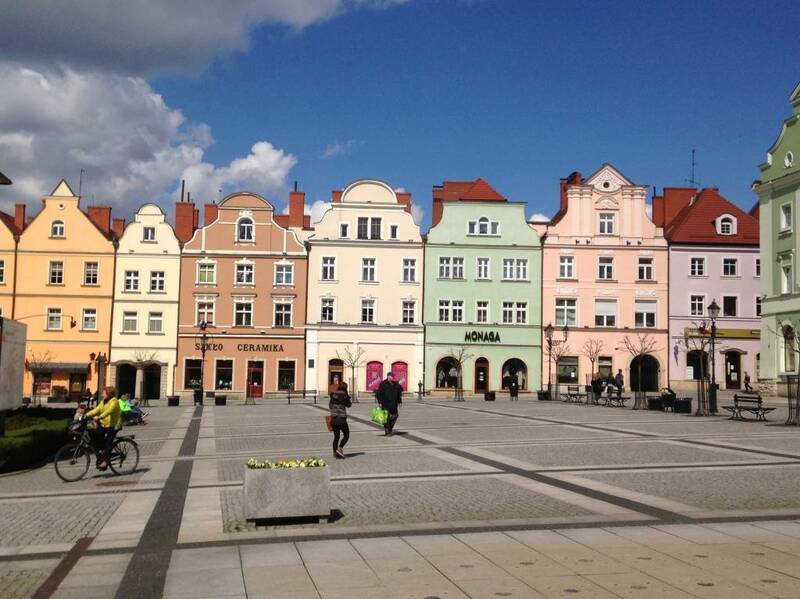 The town square in Boleslawiec, as can be seen in our picture is simply magical! Perfectly painted and maintained quintessential polish buildings line the entire square, and the square is the perfect place to enjoy lunch in this jewel of Poland. If you've ever been, or want to one day go to charming Boleslawiec, we'd welcome your thoughts and comments!